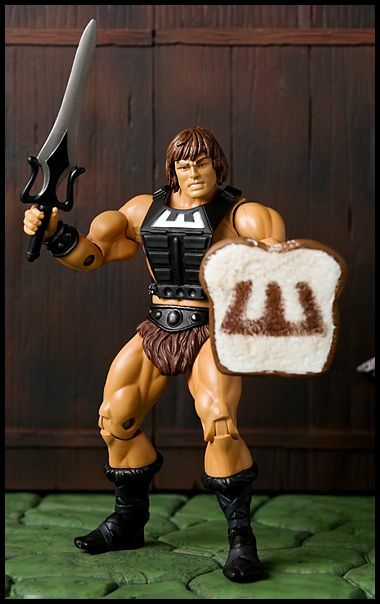 Masters Of The Universe Classics: Toast-Orr The Bread Shield! Need to fortify your Wun-Dar with all the ingredients he needs to fight off evil? Well look no further! 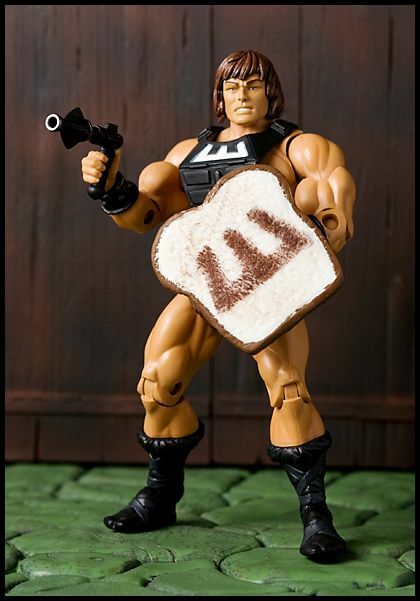 Spy Monkey Creations (in conjunction with Action Figure Insider) has cooked up something special to help Wun-Dar dish out some piping hot justice.. Straight from the oven of virtue: Toast-Orr, the bread shield! Here's the description from AFI: "Forged the Forbidden Oven of Sourdozia, Toast-Orr’s impenetrable crust makes him a powerful weapon in the eternal struggle against evil!" 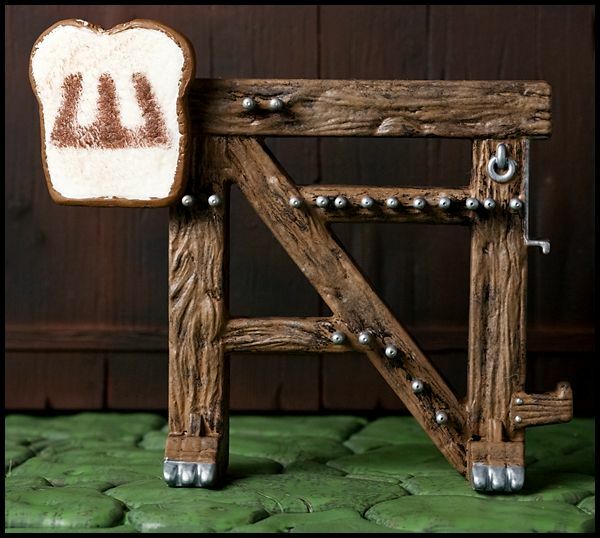 Each Toast-Orr is hand crafted by the fine folks over at Spy Monkey Creations! The cost for each is $10 (plus shipping). Go get yours now!